In our couple of blog post related to Back to Basics Series we discussed about Virtual Machine Files (Part1), Standard Switches (Part2), vCenter Server (Part 3),Templates (Part4) vApp Part 5, Migration Part 6,Cloning Part 7, and we also discussed about the various tasks related to building Home Lab Part1, Part 2, Part 3,Part 4 and Part 5. 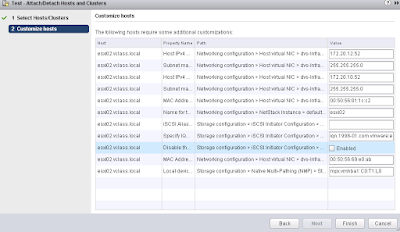 So here we are in another back to basics post in which will be focussing on Host Profiles another important feature used when it comes to consistent configuration deployment of ESXi in your environment. The Host Profiles feature enables you to export configuration settings from a reference host and save them as a portable set of policies, known as host profile. Using the Host Profiles Eliminate the need of of maintaining per host configurations and ensure the configuration consistency across entire data center. Host Profile is one of the Licensed Feature and is available with an Enterprise Plus License. Host Profiles can be used to Automate host configuration across a large number of hosts and clusters. We can use Host Profiles to simplify the host provisioning process, configure multiple hosts in a similar way, and reduce the time spent on configuring and deploying new VMware ESX/ESXi hosts. We can also use Host Profiles to monitor for host configuration changes, detect errors in host configuration, and ensure that the hosts are brought back into a compliant state. Host Profile is mainly composed of Two Parts i.e Configuration Details - Describes policies that govern how a host configuration should look, including details about each specific configuration settings. And Compliance details – Describes a set of checks that are performed to ensure that the host is configured as specified in the profile. 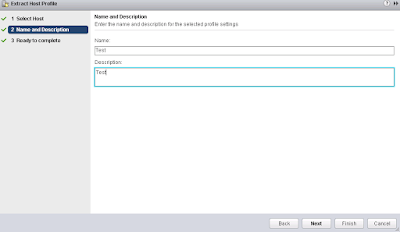 Step 1: Create a Host Profile, using the reference host. 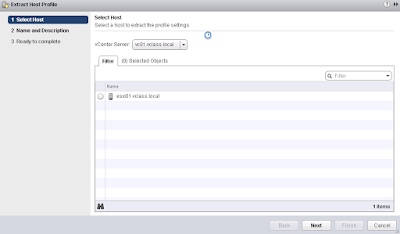 To create a host profile, VMware vCenter Server retrieves and encapsulates the configuration settings of an existing VMware ESX/ESXi host into a description that can be used as a template for configuring other hosts. Step 2: Attach a profile to a host or cluster. After you create a host profile, you can attach it to a particular host or cluster. This enables you to compare the configuration of a host against the appropriate host profile. 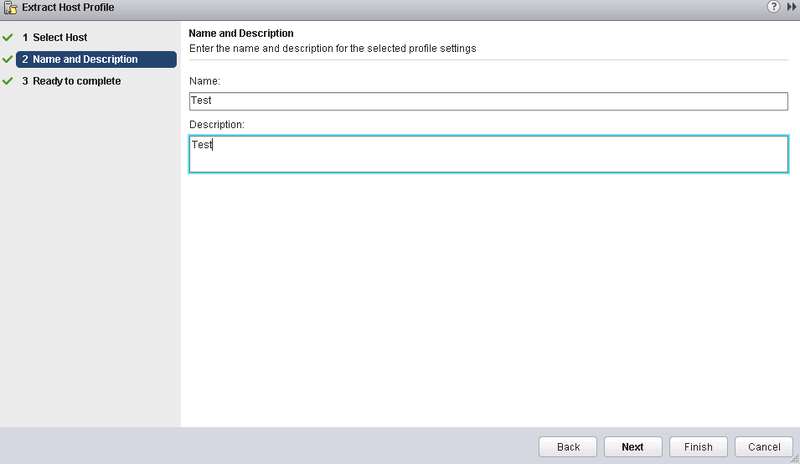 Step 3: Check the host’s compliance against a profile. Once a host profile is created and attached with a set of hosts or clusters, VMware vCenter Server monitors the configuration settings of the attached entities and detects any deviations from the specified “Master” configuration encapsulated by the host profile. 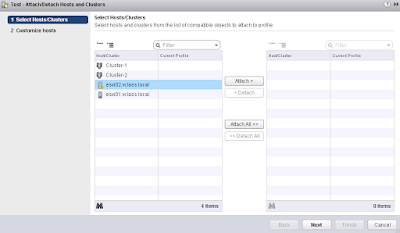 Step 4: Apply the host profile of the reference host to other hosts or clusters of hosts. 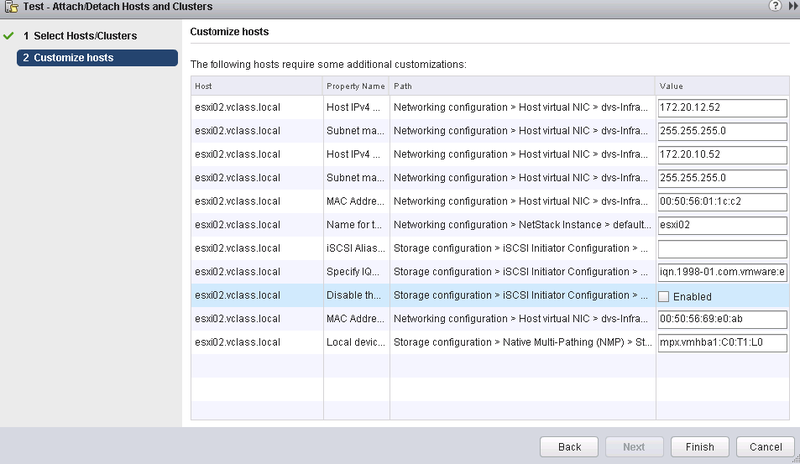 If there is a deviation, VMware vCenter Server determines the configuration that applies to a host. 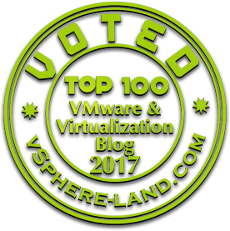 To bring noncompliant hosts back to the desired state, the VMware vCenter Server Agent applies a host profile by passing host configuration change commands to the VMware ESX/ESXi host agent through the vSphere API.